Update: I edited the screen size which was too small. I am a newbie and having troubles controlling my aircraft and if I crash the plane the game locks up and I have to force quit it but the sound is still going. I only have the default plane and several different airports. box says flightgearmacosx not responding but i see another process running called fgfs or something similar that is ok but as soon as I force quite flightgearmacosx file it crashes too..
Last edited by Gijs on Wed Mar 07, 2012 9:59 am, edited 1 time in total. Like that. Makes it much easier to read. I've always had that problem when crashing a plane on FG, but it never bothered me as I figured I needed to start again anyway. Not sure if there is a workaround. Hey guys, I'm not sure whether this is the right place to post it, but I've found that the arrow keys don't work anymore, and that if I go to an external view and use the mouse to orbit the camera around, when I get close to looking from the nose of the plane to the back of the plane, I crash? So far this has happened with the Citation X and the 777. Everything else seems fine, framerates are lower than before but I suppose that's to be expected. Edit: Ok, scratch that. Crashes every time after loading scenery. It opens the start screen where I can select my aircraft and airport but it doesn't do anything when I click on start flight. I'm going to try 2.4 once it finishes downloading. Hi Wostley. There is an active topic for Mac Yosemite http://forum.flightgear.org/viewtopic.php?f=21&t=24781 hoping you'll find more info on it. where I shared some info about FGX launcher. Here http://forum.flightgear.org/viewtopic.php?f=5&t=24120&start=30 you can find Marc Kraus' init script for terminal, hoping you'll find usefull to launch FG in your PC. I'm not a Mac User. Last edited by Michat on Thu Dec 25, 2014 1:16 am, edited 1 time in total. Thank, I wasn't able to find the yosemite forum on here so that link helps a lot. 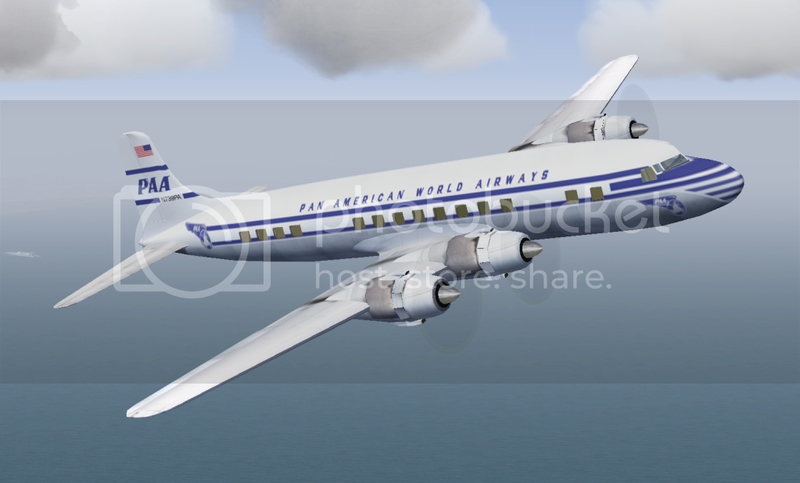 PanAm wrote in Fri Feb 24, 2012 1:29 pm: Here is my vintage Pan American Airways DC6... not perfect, but "flying" with the new FG 2.6... great work to all! cannot proceed beyond tut1. Tutor insists that engine is running and all is ready for tut 2 but siim is at pre-start stage? The bad instruction error, the fact that it was crashing in freetype & the fact that 2017.1.3 still worked made be try something: taking the OSG freetype plugin from 2017.1.3 & putting it in 2017.2.1 & 2017.3.1. Last edited by Johan G on Sat Oct 07, 2017 12:58 pm, edited 1 time in total.